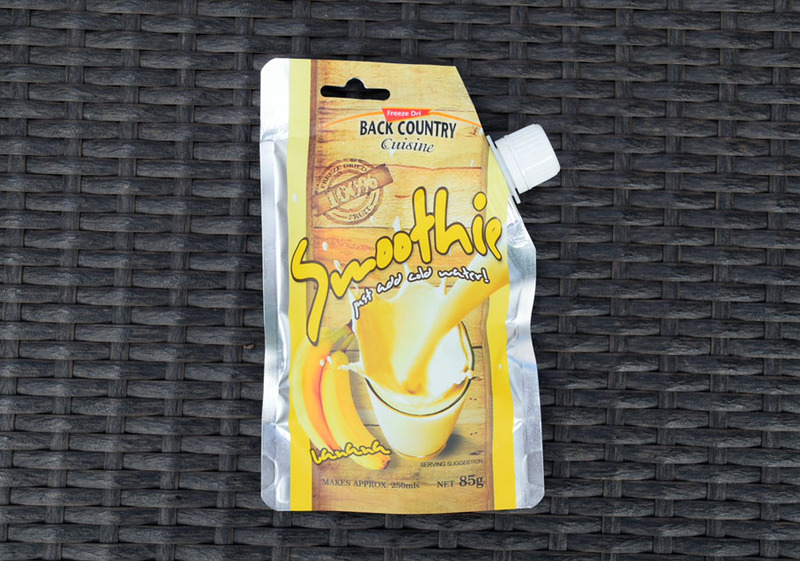 Back Country Cuisine is best known for their range of freeze dried meals but is you look around you will also find some other great products in their range. One of these sometimes hard to find meal replacement/snack options are their fruit smoothies. Gill will often use these as a lunch option on day/multi-day hikes and while I will drink these occasionally when I feel like something sweet I find these smoothies are a bit lowish on the calorie count to serve as a full meal particularly if you compare this to the same amount of peanut butter which has about three times the calories. Not an issue on short hikes but on multi week hikes I tend to go for food which has a high calorie count to minimise the pack weight. 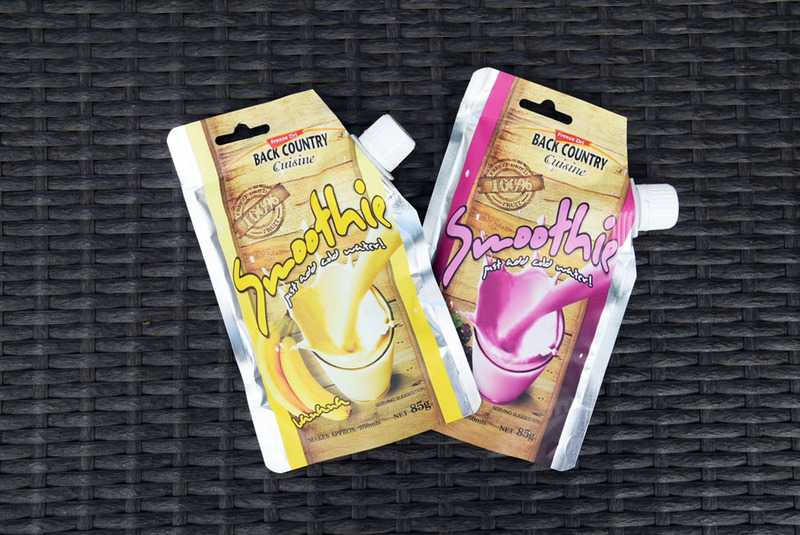 Back Country have two choices in this range and both are made using real fruit. Mind you when you look closely at the label the fruit content is only 11%. I personally find the Berry Smoothie a bit sweet for my taste but this is Gill’s preferred option. 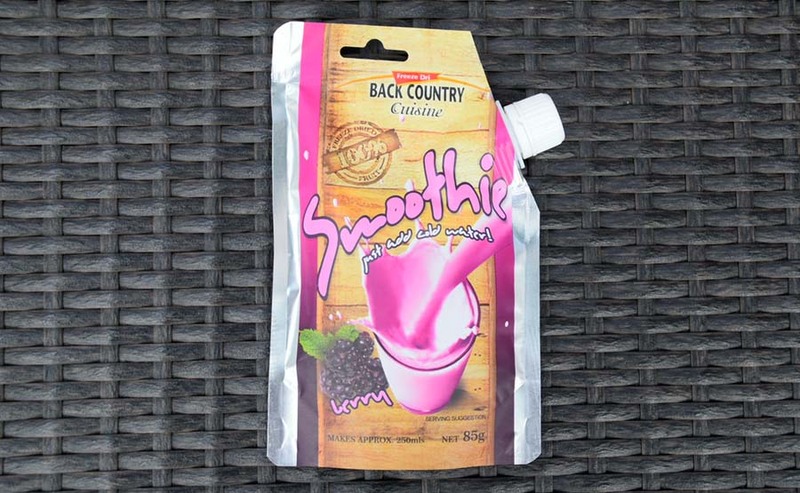 You can definitely taste the bits of berries in the mix but as it has added sugar and flavours it doesn’t quite taste the same as a real fruit smoothie. Having said that I think that this is about as good as you are going to get on the trail. Out of the two choices in this range the Banana Smoothie would have to be my favourite which is a real surprise. I usually find artificial banana flavouring to be the worst of all the fruit flavourings but in this case back Country Country do a descent job. Like the berry option you can taste the bits of real fruit in the mix. The normal price sits around the $4.99 mark but not every outdoor store tends to carry these so you may have to search around or use buy them online. If you’re not sure about these as a meal/snack for an upcoming trip be sure to try them out before hand. I do find that these smoothies taste better on the trail than they do at home though. A meal replacement for a short days hike or as a snack on longer hikes. Please note that our affiliations do not influence, in any way, the independence of our gear reviews. If we don’t like something, you’ll hear it from us!